Jury members deliberated over the big winner hours before the Effie Awards ceremony. 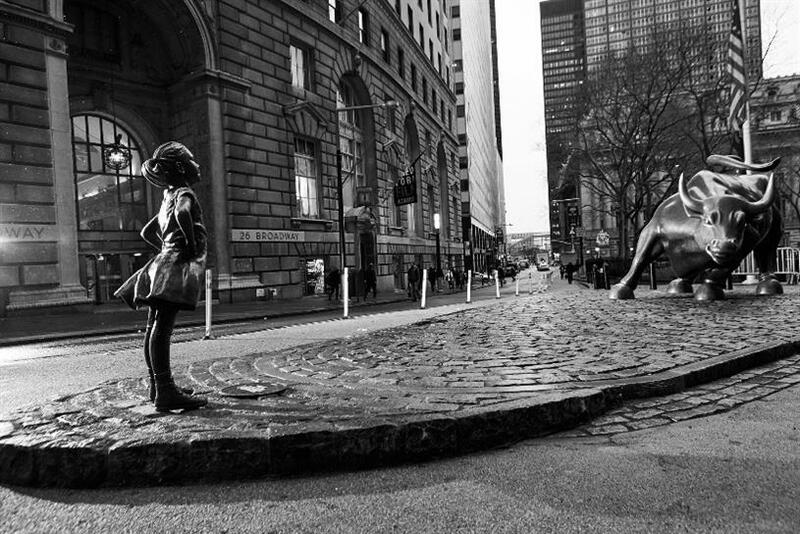 The Grand Effie trophy was awarded to State Street Global Advisors and Interpublic Group’s McCann New York for "Fearless Girl" at the 2018 North American Effie Awards Gala on Thursday night in New York City. Fearless Girl, which launched last March for International Woman’s Day, has been honored many times in its 15 months of existence, including multiple Grand Prix awards at the 2017 Cannes Lions Festival of Creativity. State Street Global Advisors was named the most effective marketer and brand at the competition, with other high rankings going to IPG for holding group; McCann Worldgroup for agency network; McCann New York for agency office; and Droga5 for independent agency. "The Grand Effie jury interrogated the Fearless Girl entry and found that, not only was it effective for State Street’s business and brand, it was effective because of its creative power," said Nick Law, co-chair of the Grand Effie Jury and chief creative officer of Publicis Groupe and president of Publicis Communications. Top honors also went to Procter & Gamble and Mars for most effective marketer; BBDO Worldwide and Geometry Global for agency networks; Cramer-Krasselt and Giant Spoon (tied for second place) and Terri & Sandy and Tombras (tied for third place) for independent agencies; U.S Army and IBM for effective brands; Geometry Global New York and Energy BBDO Chicago for agency offices; and Omnicom and WPP for most effective holding companies. Droga5 and The New York Times for "The Truth is Hard to Find"
McCann New York and State Street Global Advisors for "The Power of SHE" or "Fearless Girl"
180LA and Boost Mobile for "Boost Your Voice"
TracyLocke and Pfizer Consumer Healthcare for Advil’s "What Pain? All Gain"